From people to events, here's a quick rundown of what we saw at market yesterday. We've been all over High Point Market spotting trends and scoping out new product introductions, and yesterday's sunshine made it easy (and fun) to hop around the market campus. Saturday for us was all about lovely people and buzzing events — here are some highlights from our day. 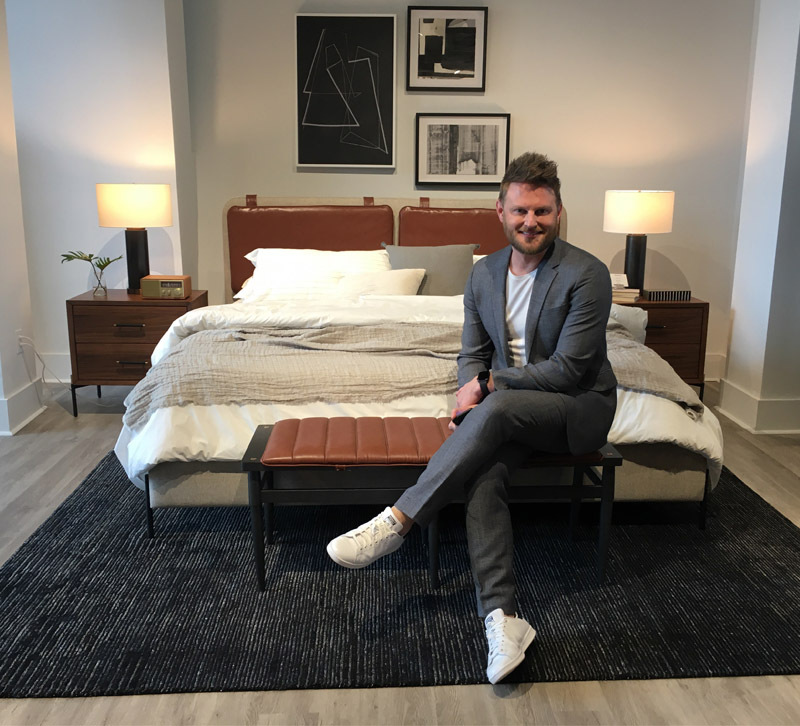 We had the pleasure of meeting with the delightful Bobby Berk, interior designer and one of the stars of Netflix's hit show "Queer Eye." He gave us a tour of his new line for A.R.T. Furniture, which launched this market and features pieces for the living room, bedroom, dining room and outdoor spaces. 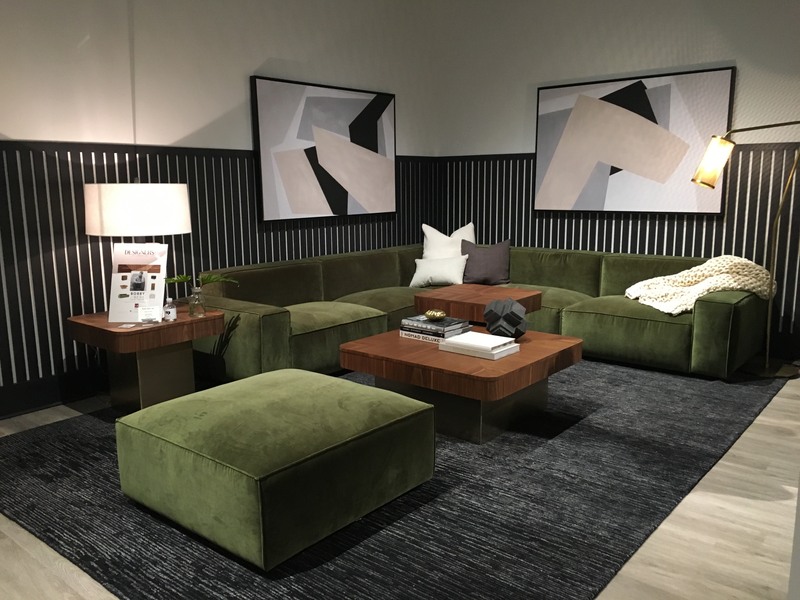 Modern and stylish, the collection offers everything from a moss green sectional to a terrazzo outdoor fire pit. When creating the collection, he followed a simple rule: use three materials for each piece to create a complete look. Leather, boucle, wood in a range of tones and pops of shiny hardware brought a unified style to the collection. And perhaps the most genius part? Sofas and nightstands with USB ports. 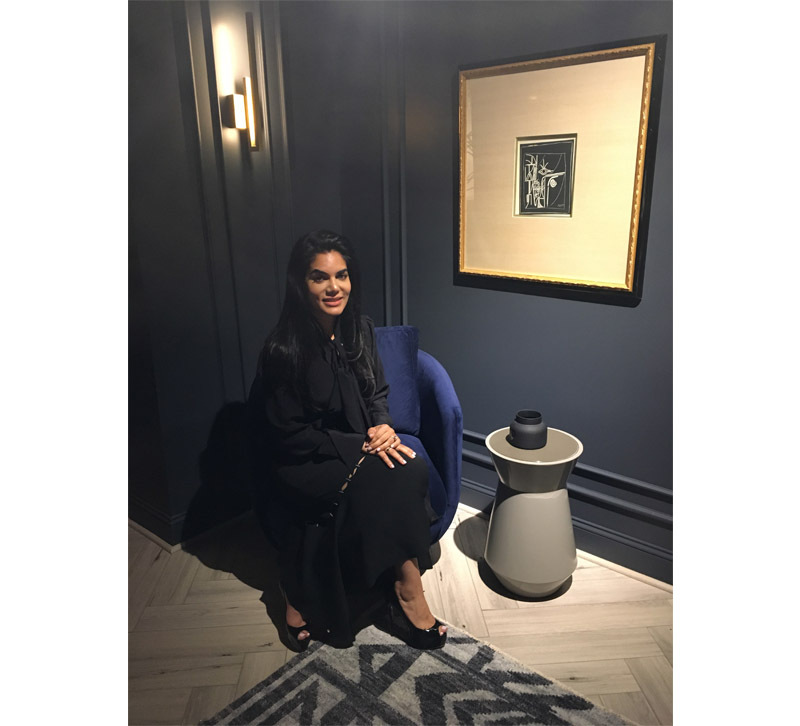 We had a great conversation with designer Nina Magon after checking out her new collection at Universal Furniture. Smoked glass, leather wrap details and tiger-striped wood were standout motifs of the functional luxury collection. Magon said she hopes her line can expose the U.S. market to a more forward-thinking, international design style that pushes the envelope. 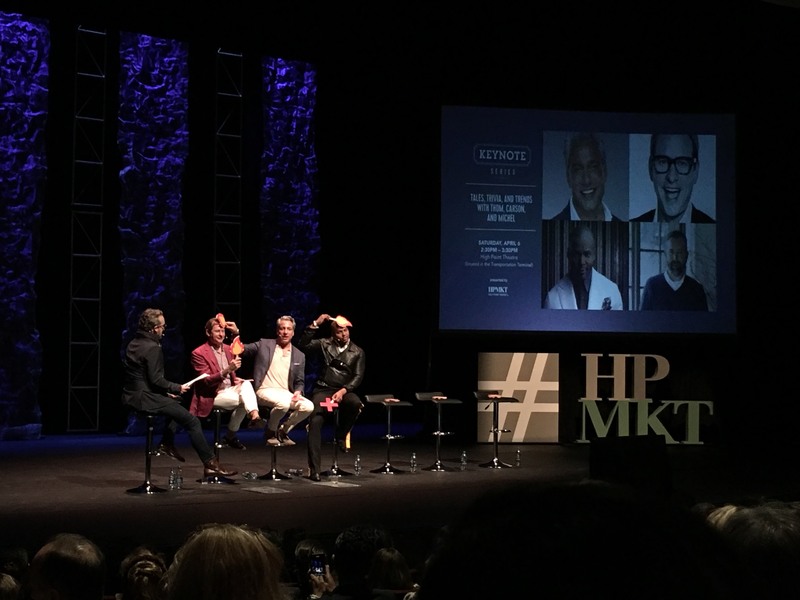 Carson Kressley and Thom Filcia of Bravo's "Get a Room with Carson & Thom" and Michel Smith Boyd of Bravo's "Buying It Blind" joined forces for an entertaining and informative panel moderated by Clinton Smith. They shared their design backgrounds and perspectives and played game show-style rounds of hot or not and two truths and a lie. When asked what turns them on (professionally and spiritually), Boyd said authenticity speaks to him. 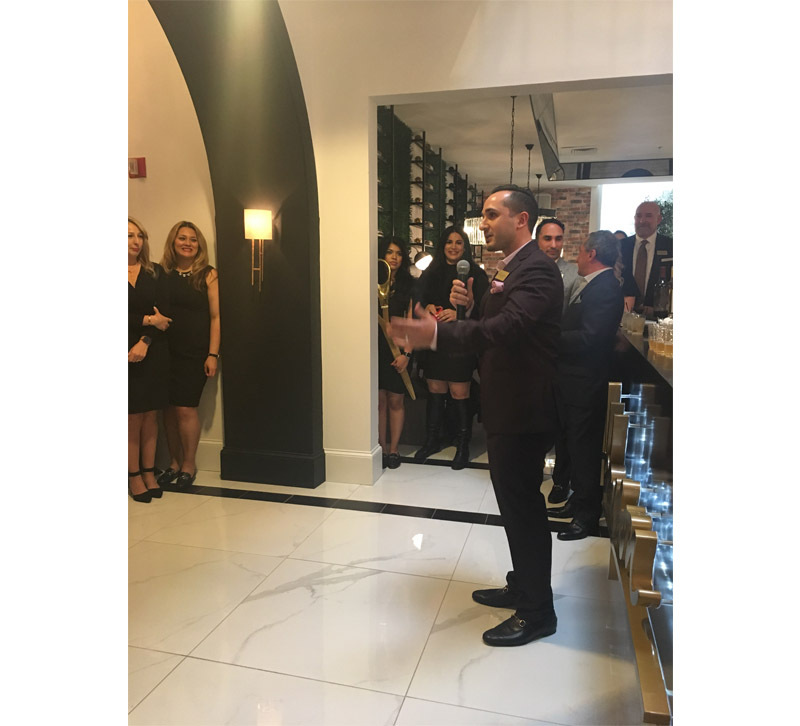 Filicia said he loves when people are comfortable in their own skin and willing to take risks. Kressley's immediate answer? "Zac Efron." 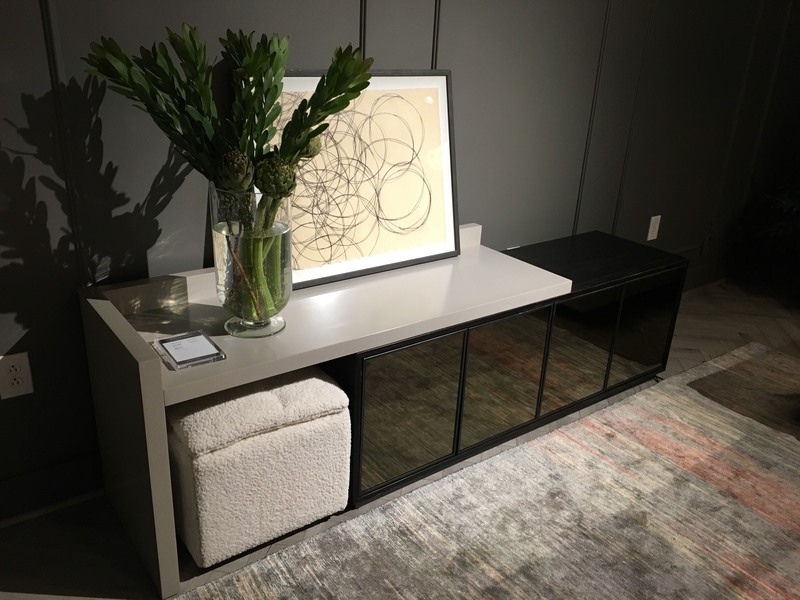 Abbyson opened a new showroom this market at 300 E. Green, and last night's grand opening event featured light bites and drinks, live music from a violinist, a ribbon cutting ceremony and tons of product from the company. Abbyson leadership and International Market Centers Chairman and CEO Bob Maricich spoke to attendees. 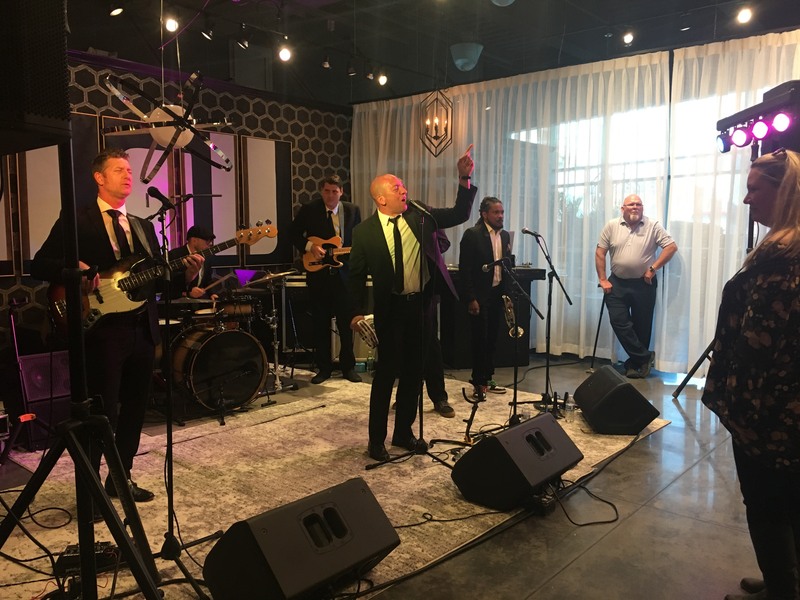 Sunpan's tropics-themed party was a hit, with a crowd of attendees packing the showroom to enjoy food, drinks and live music. The band had guests flocking to the dance floor at 7 p.m. — a sign of a fun night.